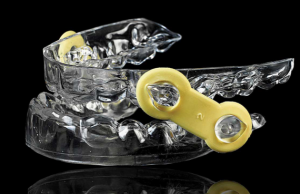 A removable oral appliance that fits on the patient’s teeth to either advance the lower jaw forward during sleep or prevent the lower jaw from collapsing during sleep which aids in keeping the airway open. Usually used for mild to moderate sleep apnea. 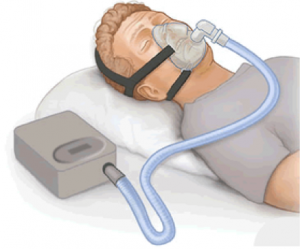 Can also be used in conjunction with a CPAP for cases where CPAP alone can’t control the apnea.